Several changes were implemented earlier today. Call of Duty: Black Ops 4 has been live for more than a month now, and it received its biggest update yet on Tuesday. In the update, Treyarch addressed numerous parts of the game. One of the most important for the competitive community included the addition of official CWL modes in custom games. This feature, which has been implemented in the last several titles, allows players to select pre-made rules instead of manually inputting the ruleset. The developer also said it patched the major bug in custom games that caused teammates to appear as enemies, a bug that only seemed to be solved when the Best Play feature was disabled. Multiple weapons also received tuning updates Tuesday, including the MX9, GKS, Cordite, and Spitfire, which may boost some submachine gun players to use something other than the Saug 9mm. Two assault rifles—the KN-57 and Rampart 17—also received buffs. The CWL-specific changes to specialists also popped out as one of the key components to Tuesday’s update. 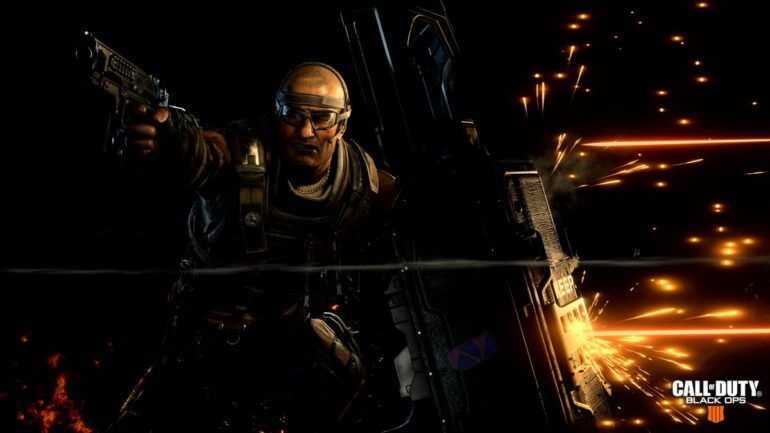 After seeing an unofficial ban on Ajax and Torque by professional players in competitive play, Treyarch heavily tweaked the powerful characters. Ajax’s 9-Bang flash effect was shortened by 25 percent and is more easily countered by Tactical Mask, while his Ballistic Shield was also nerfed with more inaccuracy and slower turn speed when hit with a stun grenade. While Torque wasn’t hit with a general game nerf, his abilities were specifically nerfed within the CWL ruleset. His Barricade and Razor Wire’s health were both reduced, while they also now don’t deal any damage. The Reactor Core of Firebreak also deals less damage now, too. Several perks were subject to buffs, with Tactical Mask receiving some increased resistance to 9-Bang, Concussion Grenade, and Razor Wire. Flak Jacket also will now have more resistance to explosives, while Cold Blooded and Dead Silence will likely be better following the update as well. The update went live earlier today, so players can jump right in and try out the altered items and weapons. Nuketown, one of Call of Duty’s most popular maps of all time, made its way into the game as well.